With all that apocalypse business safely behind us, we’re back to the blogging and the fan art! We’re always looking for more fan art submissions! 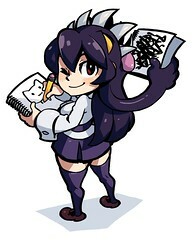 While we scan DeviantArt and Pixiv weekly, you can always directly submit your art to fanart@revergelabs.com. This excellent piece by Fukai Ryosuke (A.K.A. FP Works) also has a lovely little note of encouragement for the team on it. 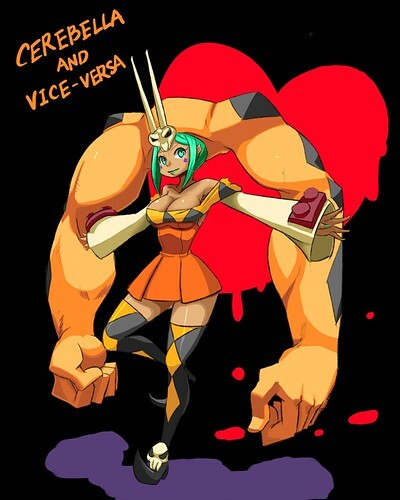 This great illustration of Cerebella comes courtesy of Tori=Furu. 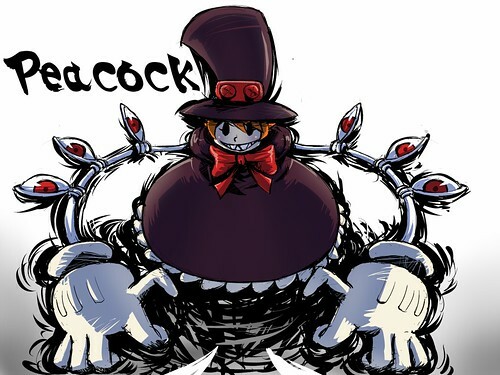 Rikka-kai drew this excellent portrait of Peacock in a SF4/Mario Strikers style. This… revealing piece by Wingsone was submitted through the Fanart e-mail address! DUDE it’s incredibly humbling to be featured here…and a loud wake-up call that i should try harder on my backgrounds LOL thanks and i can’t wait for the game to come out!